Spectacular updated 3 BR, 2 BA, 2 CG split bedroom plan home located in the heart of Countryside! Stunning modern plank tile flooring throughout the living areas. Spacious open floor plan includes living room, family room, formal dining room, and laundry room. Gorgeous, brand new dream kitchen includes new Frigidaire Gallery appliances and gray wood cabinetry finished with amazing granite counter tops, island, and bar. Spacious master bedroom with luxurious master bath includes double sink vanity, walk-in shower, and modern fixtures. Huge walk-in closet. Relax and enjoy your expansive indoor/outdoor covered living space. Spacious backyard with plenty of room for a pool. This home is a MUST see! 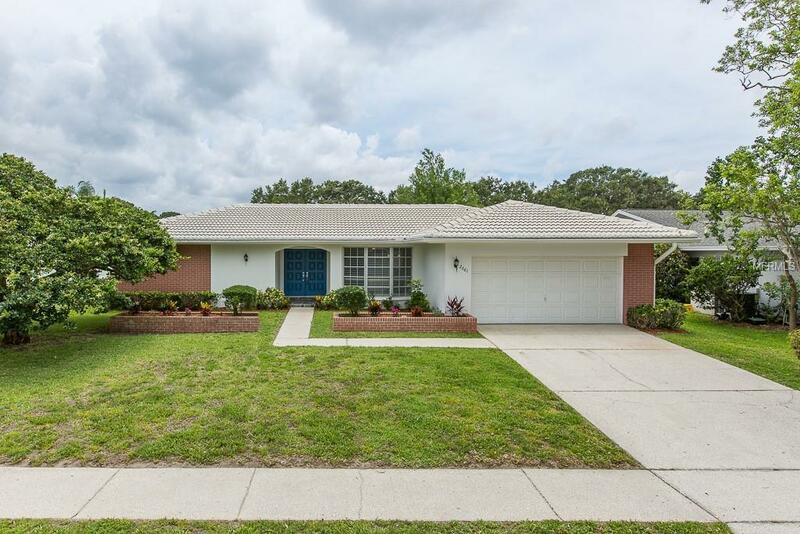 Only a short walk to the exclusive Countryside Country Club and half way between charming Safety Harbor and delightful Dunedin. Conveniently located to Westfield Countryside Mall, restaurants, shopping, parks, the Best Gulf Beaches, and great schools! Welcome home!